Following Tlaib’s primary victory in Michigan’s 13th congressional district last week, writer Ali Abuminah raised questions in The Electronic Intifada about Tlaib’s acceptance of an endorsement from an “Israel” lobby group under political conditions that contradict support for Palestinian rights. 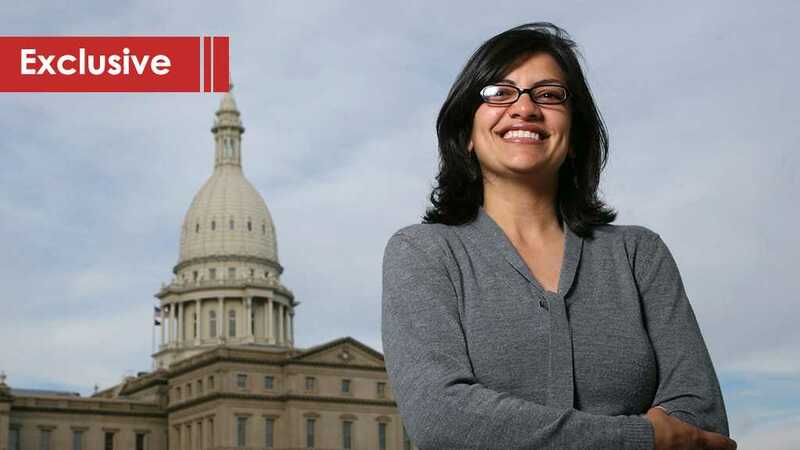 In an interview with In These Times, Tlaib expressed strong support for the right of activists to engage in BDS. She also distanced herself from the two-state solution. I am not saying Rashida Tlaib will for sure be complicit in similar decisions to be taken by the congress, but I have every right to ask Muslims celebrating her “accomplishment” to wait and see how she will handle many controversial issues before rejoicing. Tlaib will have to choose a position concerning the Palestinian right of return, the illegal presence of the US embassy in Al Quds and the constant US collusion in the “Israeli” genocide against Gaza. Tlaib will also have to acknowledge that the government she is now part of is to send aid to “Israel” amounting to $3.8 billion annually over 10 years beginning in 2019, that is 2 months from now.